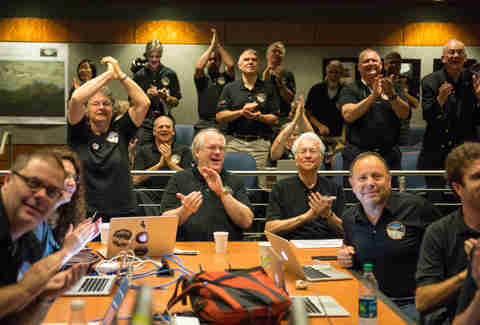 After a 10-year, 3-billion mile journey (so, just your casual road trip), NASA's New Horizons spacecraft finally reached Pluto Tuesday. 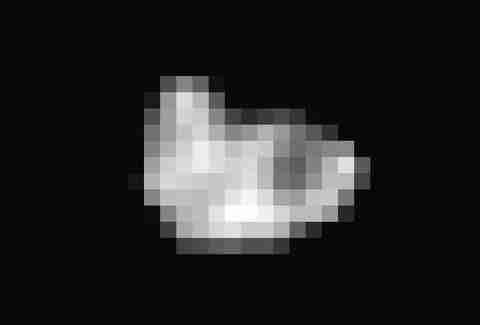 Wednesday, in conjunction with a press conference, NASA released high-resolution mages of the dwarf planet. Looking at them is basically like looking at other people's vacation photos -- but hey, it is slightly further away than Spokane. "Yesterday, America's space program took another historic leap for humankind." 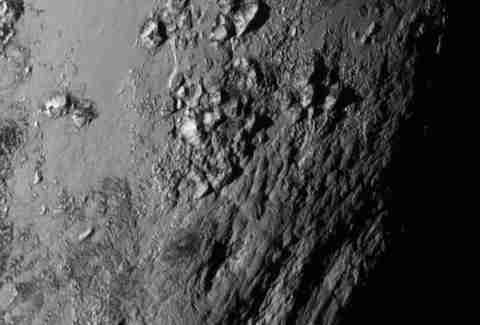 NASA spokesman Dwayne Brown said, "The New Horizons is bringing what was previously a blurred point of light into focus." 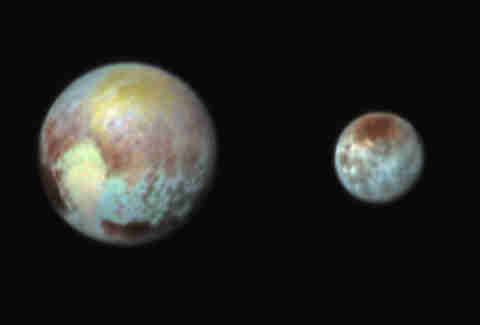 We've collected the most recent images below (plus the above image, of Charon, Pluto's largest moon). And just remember: like Lance Bass, you're never going to space. 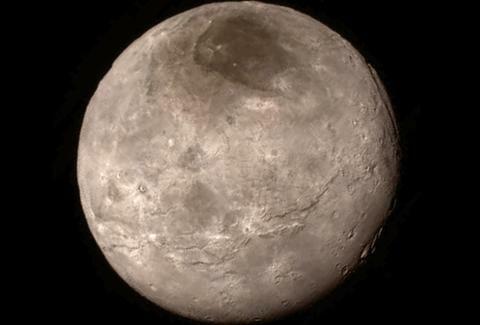 The western lobe that looks like an ice cream cone is the "heart" of Pluto, no word on if there is any actual ice cream. Note: this is not a screen grab from an Atari game circa 1989. It is the hydra moon. We think. Nice one, guys! Now, can we get back to discussing whatever happened with Lance Bass going to space?